Oregon is trying to evict dozens of the federally protected animals from an inland river where they feast on salmon and steelhead. After two days spent trapping and relocating the animal designated #U253, he was headed back to where he started – an Oregon river 130 miles from the Pacific Ocean that has become an all-you-can-eat fish buffet for hungry sea lions. “I think he’s saying, ‘Ah, crap! I’ve got to swim all the way back?”‘ said Bryan Wright, an Oregon Department of Fish and Wildlife scientist. 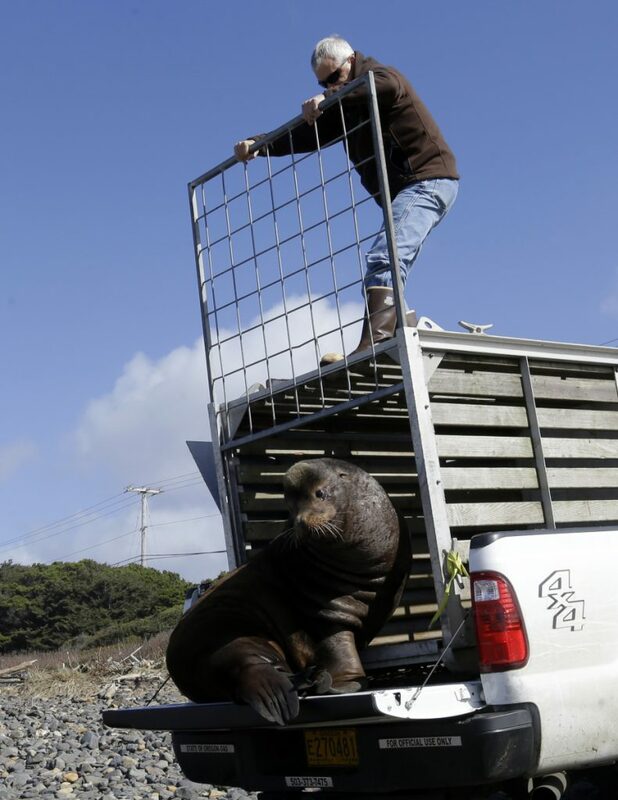 It’s a frustrating dance between California sea lions and Oregon wildlife managers that’s become all too familiar in recent months. The state is trying to evict dozens of the federally protected animals from an inland river where they feast on salmon and steelhead that are listed under the Endangered Species Act. The sea lions breed each summer off Southern California and northern Mexico, then the males cruise up the Pacific Coast to forage. Hunted for their thick fur, the mammals’ numbers dropped dramatically but have rebounded from 30,000 in the late 1960s to about 300,000 these days because of the 1972 Marine Mammal Protection Act. With their numbers growing, the dog-faced pinnipeds are venturing ever farther inland on the watery highways of the Columbia River and its tributaries in Oregon and Washington – and their appetite is having disastrous consequences, scientists say. 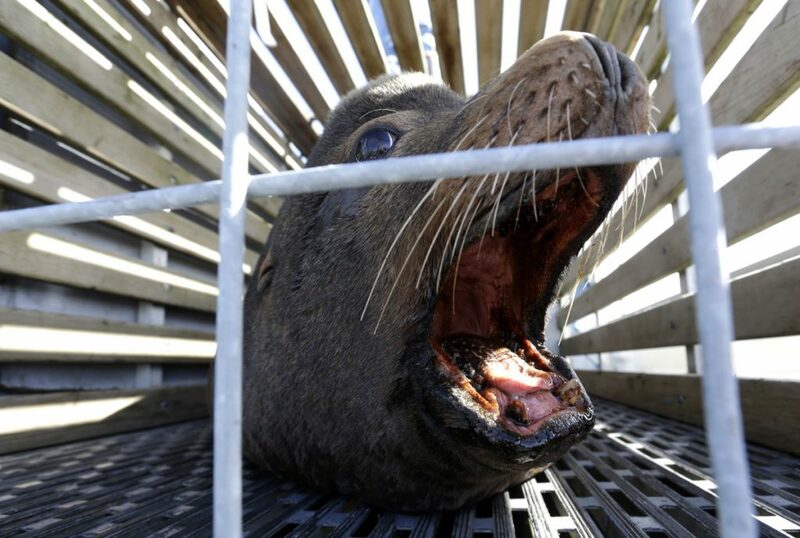 In Oregon, the sea lions are intercepting protected fish on their way to spawning grounds above Willamette Falls, a horseshoe-shaped waterfall about 25 miles south of Portland. Last winter, a record-low 512 wild winter steelhead completed the journey, said Shaun Clements, the state wildlife agency’s senior policy adviser.